With his unmistakably mestizo good look and dancing prowess which he possess, Enrique Gil is absolutely here to stay. Making his presence felt, he has graced ASAP's dance floor countless times. The most popular of which is a special dance number with Maja Salvador, also an ABS-CBN Kapamilya talent. Dubbed as the "King of the Gil" in showbiz, Quen by a nickname to many off-cam showbiz friends, this young actor had so much ahead of him with respect to acting talent. He has appeared in numerous teleserye, movies and commercials at such as very young age of 21 and is now a mainstay as a love team known to Pinoys here and abroad as LizQuen. Born March 30, 1992 and raised in the Queen City in the South - Cebu, his real name is Enrique Mari Bacay Gil V (the fifth). As a little boy, he is often times mistaken to be a foreigner due to his naturally brown-blonde hair. He is the fifth in the clan to bear the same name, hence, the V after his last name, Gil. Very little people would know that this young handsome boy is actually with a Spanish decent from his biological father, Enrique Amadeo Gil III while his mother, Barbara Anne Bacay is half Filipino and half German Spanish. Quen had 2 more siblings, an elder brother named Enrique Javier (Javy is his nickname) and Diandra Frances (nicknamed Andie). All of them studied back in Cebu in exclusive schools and they lived a quite comfortable life in the Visayas. Both parents worked as flight attendants for Philippine Airlines, one of the top companies in the Philippines today. His family lived a normal above average happy life until his father was diagnosed with cancer. Quen was left by his father at such as very young age of 16 who died in 2008 while their mother stayed single since and decided to take care of them all by herself as a single parent - father and mother. After his father passed away, at a very young age of 16 years old, Quen decided to take the path to being a commercial model. He wanted to help his mother and so he enrolled at Trumpets where he learned commercial modelling and did some occasional workshops on musical theater. This choice paved the way for Enrique to get offers from advertising agencies which later on turned to tv commercial endorsements. His first ever television appearance in a commercial was that of Lewis and Pearl with now actress super stars, Nicole Garcia and Jodie Sta Maria. You can watch the video below from YouTube.Com. This first ever tv commercial stint is where ABS-CBN first noticed the young Cebuano mestizo who offered to do workshop under their management. It's actually the prelude to being included in the roaster of talent of the Kapamilya Network's Star Magic Circle batch 16. The set of talent in this group is also where some of the biggest stars of ABS-CBN today were discovered from. They are the likes of Piolo Pacual, Jericho Rosales, Angelica Panganiban, Daniel Padilla, Bea Alonzo, Kim Chiu, John Lloyd Cruz and more. FIRST CAMEO ROLE: "BETTY LA FEA"
The first ever acting appearance of Enrique Gil to further enhance his biography is in Pieta (action drama) starring Ryan Agoncillo and Cherrie Gil. He played Harold, a high-impact character with a very short test to his ability to act. He impressed the producers here which later on earned him follow up projects immediately. A cameo act was his next which is in "I Love Betty La Fea' starring Bea Alonzo. He played the role as one of the Ecomodels of a fictitious modelling agency in the series. There were 2 other very challenging projects given to Quen before he eventually earned a project from Kapamilya Network. These projects were Indie Films - "Pitas" (2009) and "Diego and His Brothers". After that, Enrique Gil was introduced to become one of Star Magic's dancing talent as the Gigger Boys. It was also the time when he joined ABS-CBNs longest-running variety tv musical show, ASAP (All-Star Sunda Afternoon Party), an after math to Sa Lingo nApo Sila. Since then, 2010 became Enrique's year as he became part of the extended cast of the afternoon teleserye (soap) "Rosalka" starring Empress Shuch and Matt Evans. In October of the same year, he was immediately playing a role side by side with the popular (KimErald love team) Gerald Anderson in the film "Till My Heartaches End" with Kim Chiu. ABS-CBN was so positive that they just found a rising star in Enrique Gil and the people behind the network were convinced that Enrique will deliver good acting stints. Because of this growing trust in the young actor, Kapamilya Network gave him his first josting job in the teen varity shgow, "Shoutout". In 2011, Quen got his first full acting job in a primetime series via the remake of the melo drama romance, Mula Sa Puso. He was acting side by side here with Lauren Young and JM de Guzman. Also during this year, Enrique also had a couple of acting jobs on tv and in films. He was included in the cast of the teen dance musical drama anthology, "Good Vibes". Here, he appeared with other popular teens in the likes of Sam Concepcion and Aaron Villaflor. After this, he appeared in the film "Way Back Home", starring Julia Montes and Kathryn Bernardo and is seemingly being introduced as a love interest (love team) of Kath in a supporting role. It was never the same again after this year as he began doing projects here and there for television and films. He finally became the "bida" playing a major role when he was included in the romantic comedy teleserye, "Princess and I" where he played a role of Jao side by side with Daniel Padilla and Kathryn Bernardo. After big time success in all his films and soaps, he made more films in the likes of "The Reunion", "Amorosa" (a horror film) and his first entry to the MMFF (Metro Manila Film Festival),"The Strangers". In 2012, he turned out with countless big projects ranging from tv hosting, music videos, guestings and another major project, the melo drama soap, "Muling Buksan and Puso" where he played as one of the main characters - Francis Dela Vega. he co-starred with Enchong Dee and Julia Montes. Did you now who is the first crush of Enrique Gil in showbiz? - It's none other than, Julia Montes! 2013 introduced us to Enrique Gil the concert performer. After he released his very successful Star Records debut dance album "King of the Gil". Quen immediately conquered the concert scene via an equally successful dance concert with some of the cream of the crop guests from showbiz in the likes of Angel Locsin, Vhong Navarro, Kim Chiu, Julia Montes, Kathryn Bernardo and Vice Ganda. The young king was overwhelmingly elated on how his own set of followers and fans accepted him and followed him in any role he choose to play. An all out support of followers went with him wherever he goes. It was also in 2013 when his acting skills was again put to a test upon starring opposite the pretty Bea Alonzo and Dingdong Dantes in the romantic melodrama film "She's the One". It was one of the year's most successful movie grossing P137 Million during it's cinema run. In the same movie, Enrique Gil crossed paths with the beautiful newcomer Liza Soberano. It changed his life 360 degrees from then on. 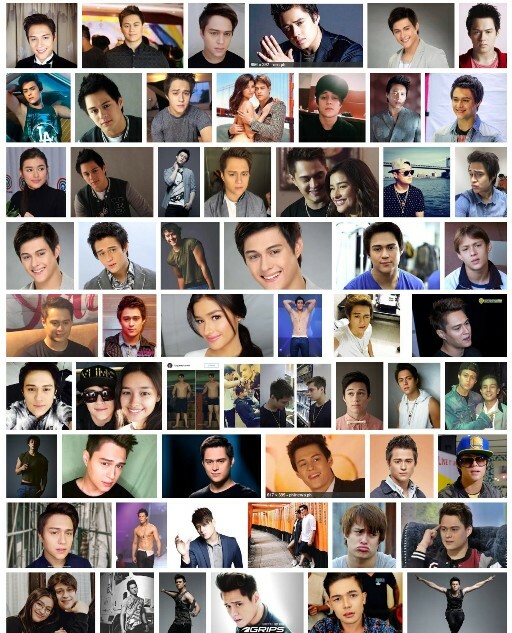 2014 found Enrique Gil to be one of the busiest showbiz personalities. A lineup of shows. tv guestings, music videos, commercial appearances, films and tv series, show hostings and more proved inevitable. He was awarded as the "Most Promising Male Star" at the 45th Guillermo Mendoza Memorial Scholarship Foundation. Most importantly on this very same year is the birth of a new love team to rock the world of the silver screen fans - LizQuen together with Liza Soberano. This happened when he accepted one of the biggest projects of his showbiz career to play the role of Xander Grande in the romantic drama series, "Forevermore", filmed in the fictitious La Presa strawberry farm in Benguet and directed by multi-award winning director, Cathy Garcia Molina. It was shown in primetime bida which meant more viewing audience for Quen and Liza who were both surprised later on when fans gladly and overwhelmingly accepted the now official, LizQuen Tandem. The soap also became one of the most watched in IwanTv as a free teleserye for Pinoys abroad in TFC (The Filipino Channel). Quen also starred in a very challenging role for an Indie Film in Dukot and later on also appeared as one of the major stars for "Seven Sundays". This film according to him was one of the most meaningful films where he played the role of a son to a dying father which according to him was one of the eye openers for teenagers like him who lost their dad at an early age and regretted not appreciating things that a father did back when he is still alive. Quen also lost his dad in his early teens. Since then, Enrique Gil did not stop doing big projects here and there together with Liza Soberano where fans just can't get enough of the "kilig" factor. LizQuen made projects like "Just the Way You Are". Everyday I Love You", "My Ex and Whys" and another successful tv series, "Dolce Amore". This 2018,watch out for Liza and Enrique who will soon grace the television screen once more with one of the most promising combination of suspense, supernatural action fantasy romantic teleserye ever dubbed as "Bagani". So where can you follow Quen on Facebook, Instagram and Twitter? Below are some of your choices in finding him online in social media for updates and latest about him including appearances, concerts, guestings, schedule, new films, teleserye or soap and more.